This time last year, I wrote that I wanted to understand more deeply why I respond to some books as I do. I think I’m on the way there, and certainly when I look at the books that have stood out most to me in the reading year, I can see a continuity. They belong together in ways that reflect what, how and why I read. So, here’s the selection: these are the books that I count as my strongest reading experiences of 2016, roughly in ascending order. The links will take you to my reviews. A novel that feels like a statement of how fiction should relate to the wider world in the 21st century. Nocilla Dream is an assemblage of adapted quotations and character vignettes, with recurring images and locations… but it won’t fit together into a stable whole, however much you try. 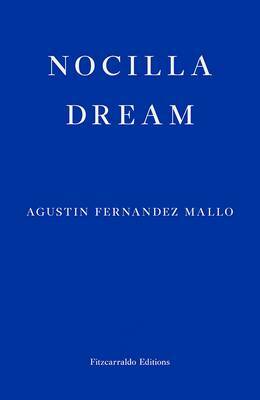 Like the globalised world it depicts, Fernández Mallo’s novel has no centre; reading it was an experience of glimpsing a deeper meaning through the haze, only for that to recede shortly after. In a Middle Eastern city, the flow of life has been disrupted by a bureaucracy that forces people to queue for days on end in order to obtain authorisation for the smallest things. 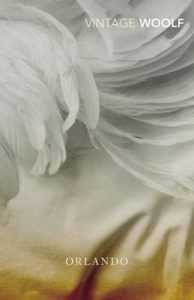 This is a novel that works through quietness and precision: its measured tone persuades one to accept the reality of this situation; then, the chilling implications unfold. A similar process occurs with the city’s inhabitants, as all the queueing changes the way they think and behave, until there’s no easy way for them to imagine something else. 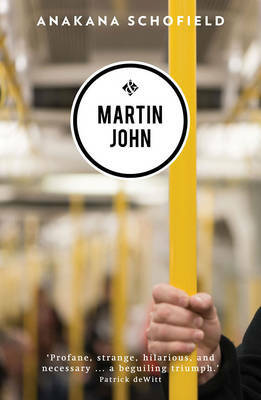 This was a book that seemed superficially light: a fictionalised account of the author’s time in Paris in the 1970s, where he sought to live like Hemingway. But as I carried on reading, the novel circled around issues of reality and imagination – how the place in the mind can endure longer and loom larger than the real one. That led me to confront the basic questions of what it is to read fiction: ultimately, nothing in Vila-Matas’ book is solid, but the reading of it persists regardless. I didn’t get around to reviewing this one, and I really must. Like The Queue, Tainaron is precisely balanced on a knife-edge between reality and unreality. It’s told a series of letters sent home from someone living in a city of giant insects – a city that might be more a state of mind than an actual place. For me, this is on a par with Viriconium in terms of dismantling the certainties of story, and the disorientation that follows in the reading. The Weight of Things is the short opening slice of a much larger, untranslated (and possibly untranslatable) fictional project – and the shadow of two world wars looms over its apparently small tale of a couple visiting the husband’s ex-wife in her asylum. Broken chronology destroys the sense that there can be progression beyond the fictional present; and there’s one moment cuts though the reading as much as in any book I’ve experienced. 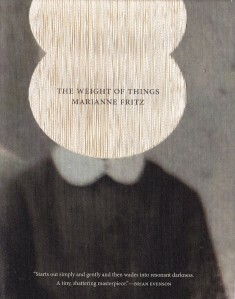 At the time, I described reading Fritz’s book as like waking from a beautiful nightmare, and I still feel the same. Here’s a book where it really is all about the language: the rhythm, the pulse, the interplay of voices. Lucien travels to the newly seceded ‘City-State’, intending to concentrate on his writing – but he gets caught up in other matters. The city has its own soundtrack of voices, bewildering and exhilarating to Lucien and the reader alike. The protagonist tries to bring his own language to the city, but all he can do is merge into its web; likewise, the best way I found to read Tram 83 was to lose myself in its words. This is the second novel on my list set amid the streets of Paris, but shows writing transformed by place in a different way. The Paris of Rhys’s protagonist is so quietly anonymous that the present day fades in comparison to the memories that continue to haunt her. This was my first time reading Rhys; I found her novel so piercing that I must read more. I love this book for the way that Manyika slides between viewpoints to explore the gap between an individual’s self-perception and the person by others. Retired literature professor Morayo breaks her hip and has to move temporarily into a nursing home – and suddenly she is a vulnerable old woman to people who don’t know her. Reading the novel, and being able to see all sides, allows the gap to be bridged. That Morayo is one of the most delightful protagonists I’ve encountered all year is a welcome bonus. Schofield’s novel takes readers inside the mind of a flasher – not so much in a way that tries to explain him as one that challenges the reader to engage with his character. While most novels are organised to create meaning for the reader, Martin John is arranged to create meaning for its protagonist, constructed around his loops and preoccupations. This is what makes it such a strong, disorienting experience: there is no map of this novel’s singular landscape. At one level, Mend the Living is a novel about a heart transplant. At another level, it’s an all-pervading cloud of language which explores the different meanings of this event, and the human body itself, as life effectively passes from one individual to another. At times, reading de Kernagal’s book was like having several extra senses with which to perceive what was being narrated. 2016 was when I finally introduced myself to Woolf’s work, and not before time. I read five of her books, and liked some more than others; but the first one I read is still the most vivid. Mrs Dalloway showed me a different way to read, as I found a novel in which events take place at the level of thought and consciousness, as much as in geographical space. There’s such power in being brought so close to the characters’ viewpoints and flowing between them. And the ending, which brings the horror of war crashing directly into Clarissa Dalloway’s polite society, is one of my year’s finest reading moments. 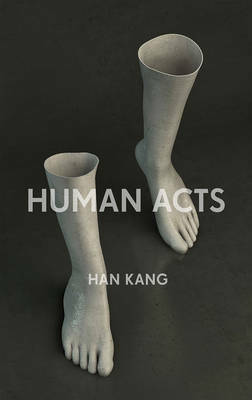 I thought about it for a long time, but there was no escaping the conclusion that a Han Kang book would top my list for the second year in a row. Like The Vegetarian, Human Acts is a novel of the body, but this time as the level at which to process conflict (or try to do so). Though there’s violence and bloodshed on a large scale in Han’s depiction of the Gwagju Uprising, it is the small human movements that I found most vivid. That contrast helped to create the strongest experience ofall the books I read this year. I’d like to write another post that explores what this list could tell me about how and why I read. For now, though, I’ll leave you with my previous lists of favourites: 2015; 2014; 2013; 2012; 2011; 2010; and 2009. It’s time for another check-in with the #Woolfalong (see my previous posts on Mrs Dalloway and The Voyage Out). The May/June theme is perhaps a little more off the beaten track: Virginia Woolf’s short stories. I’ve been trying to use my #Woolfalong selections to build a picture of Woolf’s work, piece by piece; so it seemed logical to choose a collection linked to a book I’d already read. Mrs Dalloway’s Party is a sequence of seven stories put together by Stella McNichol after she became aware of them while working on the manuscripts of Mrs Dalloway. The opening two fall chronologically at or before the start of the novel (the first story, ‘Mrs Dalloway in Bond Street’, was originally meant to be Chapter One of the novel); the remaining five focus on individual guests at the party that closes Mrs Dalloway. I’m drawn to a musical comparison here. 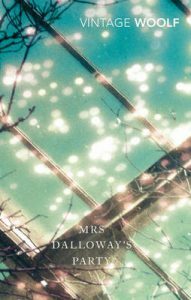 Reading Mrs Dalloway’s Party was like listening to the offcuts of a familiar album: the stories were of a piece with the main work, but not part of it – sometimes disconcertingly so. There are elements of ‘Mrs Dalloway in Bond Street’ that I recognise from their later context, such as a mention of Mrs Foxcroft – so powerful to me in the novel; but not nearly so much the way it’s treated in the story. Their eyes met; collided rather, for each felt that behind the eyes the secluded being, who sits in darkness while his shallow agile companion does all the tumbling and beckoning, and keeps the show going, suddenly stood erect; flung off his cloak; confronted the other. It was alarming; it was terrific. They were elderly and burnished into a glowing smoothness, so that Roderick Serle would go, perhaps to a dozen parties in a season, and feel nothing out of the common, or only sentimental regrets, and the desire for pretty images—like this of the flowering cherry tree—and all the time there stagnated in him unstirred a sort of superiority to his company, a sense of untapped resources, which sent him back home dissatisfied with life, with himself, yawning, empty, capricious. But now, quite suddenly, like a white bolt in a mist (but this image forged itself with the inevitability of lightning and loomed up), there it had happened; the old ecstasy of life; its invincible assault; for it was unpleasant, at the same time that it rejoiced and rejuvenated and filled the veins and nerves with threads of ice and fire; it was terrifying. “Canterbury twenty years ago,” said Miss Anning, as one lays a shade over an intense light, or covers some burning peach with a green leaf, for it is too strong, too ripe, too full. This is a long quotation, but I think you need the length to appreciate the full effect: the familiar torrent of words, within which apparently mundane small talk has stirred a deep, primal sense of being alive (literature can also do that to a reader; reading Mrs Dalloway did it to me). Miss Anning’s distancing comment at the end tries to push this feeling away, but of course it will remain, latent, ready to emerge again if given the chance. This is how close Woolf brings us to her characters: into the very fabric of perception. I haven’t had a lot of time lately for blogging (or, at times, reading), so I’ve had to scale back some of the plans that I had. But I do want to sketch out a few notes on my second #Woolfalong book. The theme for phase two (which covers March and April, so I’m still in time… just!) is ‘beginnings and endings’ – Woolf’s first or last book. 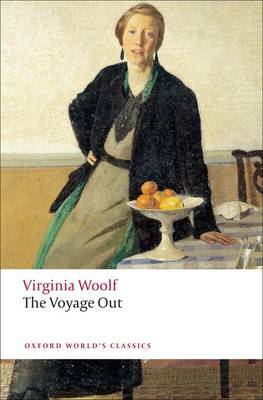 After reading Mrs Dalloway, I decided that I wanted to go back to the beginning and Woolf’s 1915 debut, The Voyage Out. It’s interesting to compare the two. Stylistically, The Voyage Out is much more conventional; but I still notice seeds of what I found in the later novel. For example, there’s something of Mrs Dalloway’s shifting web of consciousness: The Voyage Out is ostensibly the story of Rachel Vinrace, a young woman on the journey to South America that will be her rite of passage. But the novel is larger than her viewpoint: it starts and ends with other characters, and there are familiarly abrupt transitions between perspectives. Clarissa Dalloway herself even makes an appearance towards the beginning of The Voyage Out. But it was particularly interesting for me to contemplate a parallel – suggested by Lorna Sage in her introduction to the edition I was reading – between the characters of Rachel Vinrace and Mrs Dalloway’s Septimus Smith. Thinking about the endings of each book, I guess those two characters could be seen as interruptions into a safe and ordered (one might say complacent) world. I suspect this won’t be the last time I find that happening, as I read more of Woolf’s work. 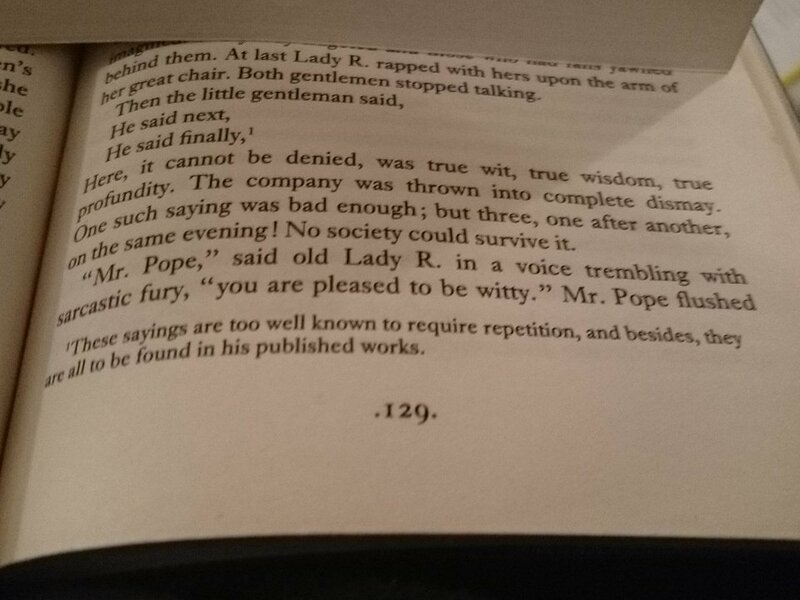 I saw this Guardian blog by Alison Flood doing the rounds on Twitter the other day: “Don’t read classic books because you think you should: do it for fun!” The particular context was reporting on a YouGov poll to find the 19th century classics that British people would like to read “if they had the time and patience”; writers including James Smythe and Sarah Perry had reacted to the poll on Twitter, pointing out – quite rightly – that they’re all just books in the end, and you can just… read them. Polls like this, and articles like the Guardian’s, are not uncommon; but these in particular touched a nerve, because of the ways I have been trying to think more about how and why I read. It struck me that one of the things I’ve tended to do as part of that process is to step away from ideas like “reading for pleasure” or “reading to be challenged, and focus instead on what it’s like to read an individual work. I spent so much time just trying to get Mrs. Dalloway to talk back to me. In my previous 22 years of life I had never read sentences of the sort Virginia Woolf writes in that book. They came on like the onslaught of some undiscovered microbe, the intense fever they promulgated within me inducing blurred eyes and a dazed head that could just not think of the usual things. I spent a week with this illness, and when I eventually recovered I understood that for all the times I was destined to fall so ill again, the infection would never be quite so revitalizing. Nearly 15 years later this is still why I seek this search for the silence that brings that revitalizing fever. Esposito’s essay is calling for ways to talk about novelty in literature without resorting to the language of “difficulty”. I think that’s analogous to what I’m trying to do on here: find a better, more precise way to describe what it’s like when I read. “Read Human Acts for the experience of reading Human Acts” may not be the most informative recommendation, though it may at root be what I need to say. This blog is here to help me unpack that experience and others like (or unlike) it. Reflections is a series of posts in which I think more generally about my approach to and experience of reading. 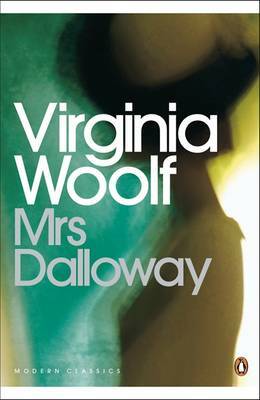 After my rather breathless reaction to the opening of Mrs Dalloway, I’m now in a position to write about the whole thing; and I can start by explaining why I’m reading it now in particular. It would be a little awkward, after all that, if I were sitting here about to tell you how much I hated the book. Thankfully it’s quite the opposite, and I wish I had read Woolf much sooner. Then again, it’s hard to know whether I would have taken to Mrs Dalloway in the same way, or whether I needed to be the reader I am now. One advantage of reading it now, though, is that I’m free to approach it however I wish; there’s no inner voice telling me (as it once might) that this book is too old, too ‘difficult’, its subject matter of no interest to me. So: I was plunged headlong into the mind of Clarissa Dalloway, a lady of London society, as she prepares to host a party that evening. I’ve mentioned previously how the rush of Clarissa’s joy at living sidesteps into (brief, but pointed) acknowledgement that life ends, sometimes abruptly. Now I can see that the novel is made of such transitions: Woolf slides from viewpoint to viewpoint, like a tracking shot that follows a succession of people (the cinematic comparison seems a bit anachronistic, but this is what it felt like). For thirty seconds all heads were inclined the same way – to the window. Choosing a pair of gloves – should they be to the elbow or above it, lemon or pale grey? – ladies stopped; when the sentence was finished something had happened. Something so trifling in single instances that no mathematical instrument, though capable of transmitting shocks in China, could register the vibration; yet in its fulness rather formidable and in its common appeal emotional; for in all the hat shops and tailors’ shops strangers looked at each other and thought of the dead; of the flag; of Empire. This is a tremor spreading through a psychic landscape, and a small example of how Woolf blurs the boundary between thought and event: the characters’ interior worlds become three-dimensional spaces which can be travelled through and acted upon. Clarissa Dallloway’s social circle revolves around the interior: reputations, or a well-composed letter to the editor (“one letter to the Times,” says one character, “cost her more than to organise an expedition to South Africa”); Woolf’s approach exposes all this to the open air. He put down his cup on the little marble table. He looked at people outside; happy they seemed, collecting in the middle of the street, shouting, laughing, squabbling over nothing. But he could not taste, he could not feel. In the tea-shop among the tables and the chattering waiters the appalling fear came over him – he could not feel. Septimus’ hallucinations destabilize the perceptual ‘consensus’ established in the rest of the novel; and, as the quotation above suggests, he can’t delight in the sensations of living as the likes of Clarissa can. His psychological scars lie buried within the clamour of Clarissa’s polite society, and may emerge without warning. Of course there’s no way I can hope to encompass this novel in one reading, one blog post. I can see myself returning to Mrs Dalloway again and again, finding something new each time. But there’s more Woolf to come before that, and I’m looking forward to it. 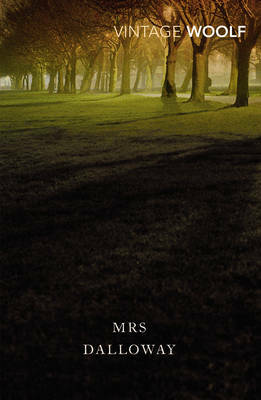 There’s so much out there on Mrs Dalloway, where can I start? Perhaps with these three recent blog reviews: Heavenali; Pechorin’s Journal; 1streading. I’ve just started reading Mrs Dalloway, my introduction to Virginia Woolf, and clearly I left it far too long to start reading her. I will have a review on here in due course; but there’s a time for reflecting, and a time for more immediate reactions. I started reading Mrs Dallloway, and was… well, engulfed by it. For Heaven only knows why one loves it so, how one sees it so, making it up, building it round one, tumbling it, creating it every moment, afresh; but the veriest frumps, the most dejected of miseries sitting on doorsteps (drink their downfall) do the same; can’t be dealt with, she felt positive, by Acts of Parliament for that very reason: they love life. In people’s eyes, in the swing, tramp and trudge; in the bellow and the uproar; the carriages, motor cars, omnibuses, vans, sandwich men shuffling and swinging; barrel organs; in the triumph and the jingle and the strange high singing of some aeroplane overhead was what she loved; life; London; this moment of June. For it was the middle of June. The War was over, except for some one like Mrs Foxcroft at the Embassy last night eating her heart out because that nice boy was killed and now the old Manor House must go to a cousin; or Lady Bexborough who opened a bazaar, they said, with the telegram in her hand, John, her favourite, killed; but it was over, thank Heaven – over. Clarissa Dalloway’s perception envelops you; you’re carried along by the brio of her viewpoint… then comes the sting of lives cut short by the War, the knowledge that there are stories which (presumably) don’t get to be told. This sort of experience is why I read fiction… and the novel has only just begun.